Seed the Way, LLC is an educational consulting project focused on professional development, resources for anti-bias curricula and pedagogy, and equity literacy. 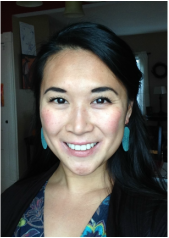 Founder and consultant, Rebecca EunMi Haslam seeks to empower educators, organizations, and businesses to work for an equitable, just, and sustainable world through participatory training workshops, facilitated discussions, and collaborative strategic planning. Rebecca teaches in the Education Department at St. Michael's College, ​coordinates the M.Ed. Programs in the Arts and Curriculum, and is currently pursuing an Ph.D. in Educational Leadership and Policy at the University of Vermont. Her research is focused on equity literate theory and pedagogy. She served Burlington's public schools for 14 years as a classroom teacher and K-12 Equity & Inclusion Instructional Leader. Rebecca was named the 2015 Vermont State Teacher of the Year by the Counsel of Chief State School Officers(CCSSO). Seed the Way is focused primarily on training for PreK-12 public school faculty and staff. The vast majority of clients are engaged with Seed the Way for ongoing trainings, some spanning multiple years. Most school districts and supervisory unions take a comprehensive approach to this work, partnering with Rebecca for faculty and staff trainings at several of their schools, working with their administrative leadership teams, librarians, guidance counselors, teacher leaders and community stakeholders. Consulting and training related to diversity, equity, and inclusion are also available for non-profits, private schools, institutions of higher education, organizations, and businesses.